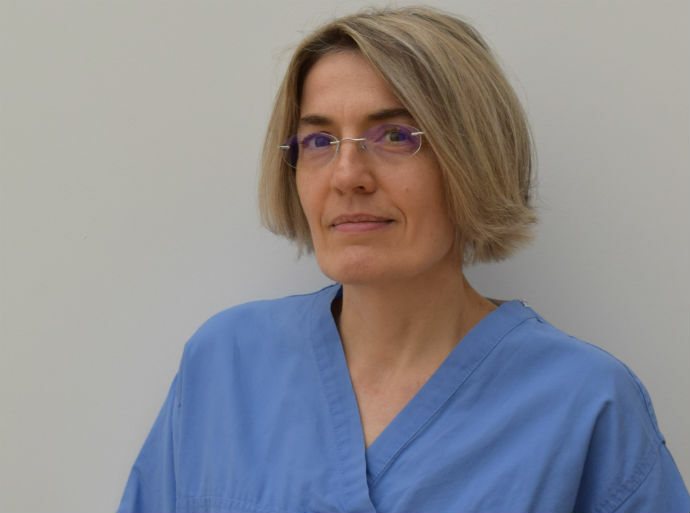 Dr Chatziioannidou has been Consultant in Pain Medicine working exclusively in Pain Management and treating variety of chronic pain conditions, with areas of special interest that include musculoskeletal and widespread chronic pain syndromes. She has been a member of many prestigious professional organisations. Her knowledge and experience in Pain Management have broadened through Fellowship Programme in Pain Management, postgraduate studies at Cardiff University (MSc in Pain Management), training in Osteopathic Medicine (registered as non practicing medical osteopath) at London College of Osteopathic Medicine and modular programme run by British Institute of Musculoskeletal Medicine (Diploma in Musculoskeletal Medicine). Dr Chatziioannidou firmly believes that chronic pain conditions should be treated on an individual basis with a pain patient’s unique circumstances at the centre of their care. Although evidence based approach to treatment of pain conditions in principle is important, she supports clinical decision making and informs the practice. Dr Chatziioannidou addresses the challenges of pain management through thorough clinical assessment, realistic long term treatment plans and by offering variety of treatment options (interventional and non-interventional) based on the above. She supports, encourages and believes in patient’s active participation in their own pain management, in early development of strong self-management techniques for better mental and physical functioning and maintenance of patients independence. Dr Chatziioannidou sees and treats both NHS and private patients at the Nottingham NHS Treatment Centre.